Kennedy James Nyale leads Kilifi senatorial race with 45%, Madzayo 35% residents insist that they need workers not politicians. - Bana Kenya News, Real African Network Tubanane. Home News Kennedy James Nyale leads Kilifi senatorial race with 45%, Madzayo 35% residents insist that they need workers not politicians. Kennedy James Nyale leads Kilifi senatorial race with 45%, Madzayo 35% residents insist that they need workers not politicians. The Kilifi senatorial race has hit up with Hon Ken James Nyale taking the country by storm. According to current polls done by Media Africa in five sub-counties of Kilifi, Kennedy Nyale was leading with 45 Percent followed by the incumbent Steward Madzayo with 35 percent. The 35 percent garnered by the incumbent is because of the party and people claim to vote for the party as diehards. The Majority of the respondents said that if Ken Nyale was in any NASA party he could be leading with over 70 percent as the NASA affiliated Chigiri Dunga (Wiper) is not popular and NASa dependant. The race which attracted several others including former Malindi Mp Lucas Maitha, Emmanuel Ndurya, and Chigiri Dunga got 2 percent, 1 percent, and 7 percent respectively. 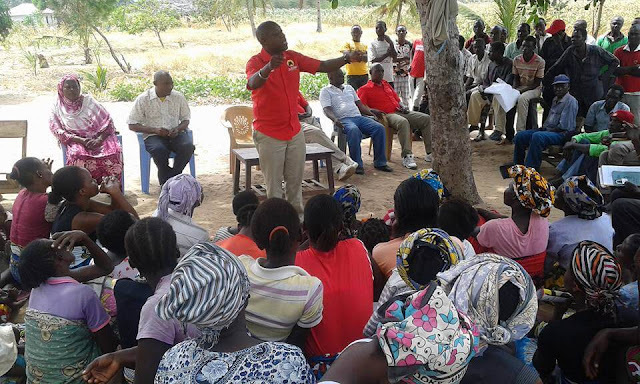 15 percent of the voters in Kilifi have not decided for who to vote as the Majority of the senators have not reached the ground where the majority of the response was. The polls conducted to 5000 people involved areas of Malindi town, Adu, Shakahola, langobaya, Mrima wa Ndege, Mtwapa, Mariakani, Shangia, Sokoke, Matsangoni, Milore, Takaungu, Kilifi town, Gede, Rabai, Banda Ra Salama, Vipingo, Girimacha, Mwapula and Garashi. Hon Ken Nyale has been on the ground and drawn a lot of support from the rural areas as the incumbent senator did not reach those areas since he was elected in 2013. The incoming Malindi MP Aisha Jumwa endorsed Nyale as her favorite through his deeds and Manifesto saying she will back him up for the seat as Kilifi county needs workers, not politicians. People backup Ken Nyale as their favorite candidate for the seat because of the office fitness and has goodwill to the people of Kilifi. The county needs workers and better supervisor but not politicians who will submerge the county resources.